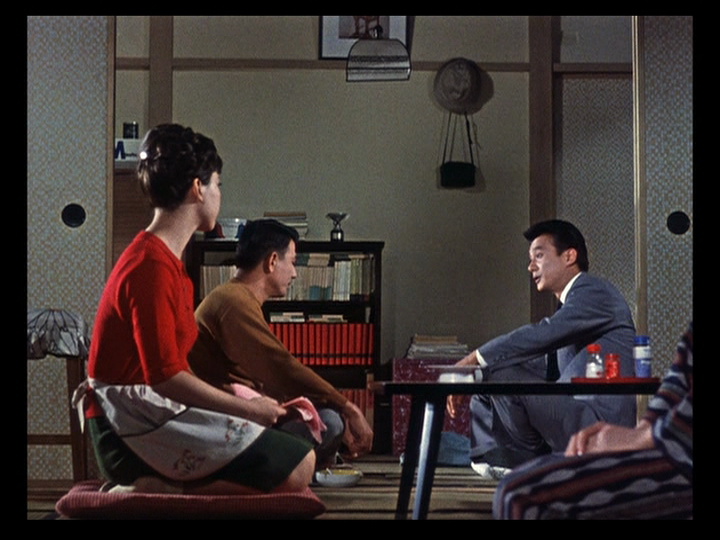 Here are a few shots from Yasujiro Ozu’s An Autumn Afternoon, notice anything strange? 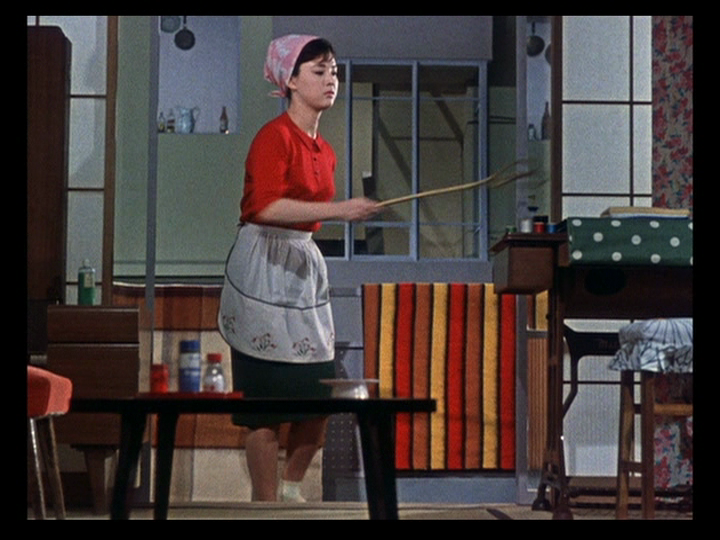 Note the position of the low table and the red, white and blue salt shakers (or whatever they are) in each shot. They’re in a different order in each shot: red, blue, white; blue, red, white; white, red, blue. Not by magic, it’s a trick of depth (or rather, of the flatness of the image) and the way they’re arranged on the table, not in an even line, but in some kind of weird triangle (a more mathematically minded person than I am could probably graph it easily). 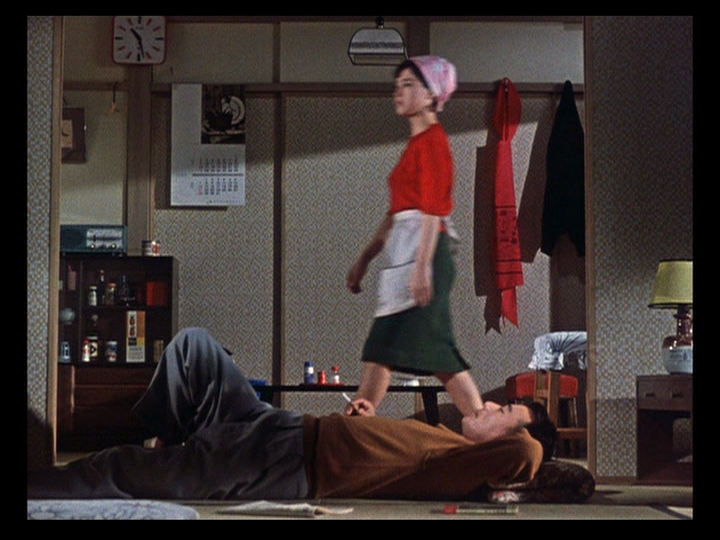 It’s a neat little joke, rhyming with the film’s overall playfulness in its color scheme (almost every shot in the movie contains each red, white and blue).